When the Michigan Lottery introduced Internet Lottery (or “iLottery”) in 2014, the idea was to find new ways to reach people who want to win a jackpot, but don’t necessarily want to make their way to a retailer or a convenience store to buy a ticket. The Detroit casinos know this story well. The days are long past when the only option local gamblers had to play roulette or blackjack were brick-and-mortar establishments equipped with slot machines and table games. With the rise of exclusive internet gaming from the Michigan Lottery, MGM Grand Detroit, MotorCity Casino, and Greektown Casino (the latter will be renamed JACK Detroit Casino-Hotel later this year) now place an even stronger emphasis on the on-site experience. That means everything from upgraded hotel rooms to new bar and restaurant offerings to performance venues, all to lure people who want to play a game but need a pretty compelling reason to leave home to do it. As online gambling options keep expanding, including playing the lottery from the comfort of one’s own family room, land-based casinos find themselves challenged like never before. For some years now, casino operators have realized there are only so many people in and around the metro Detroit region who are going to come downtown to go to the casinos. That’s reflected in the fact that while the Detroit casinos still see some year-over-year growth, it tends to be small. The Michigan Gaming Control Board reports that the Detroit casinos collectively generated $1.4 billion in aggregate revenue last year, an increase of 1.1 percent compared with 2016. Broken down by individual casino, that’s $592.2 million for MGM (an increase of 0.01 percent over 2016), $478.6 million for MotorCity (up 2.3 percent), and $329.7 million for Greektown (up 1.3 percent). Comparatively, the iLottery posted $97 million in revenue in Michigan for the fiscal year ending September 30, 2017. That represents a relative explosion in revenue compared with the $48 million the iLottery earned the previous fiscal year. Gambling area at MotorCity Casino. Dall further estimates that as much as half of that $34 million could have come from prospective casino patrons who are playing the lottery online. If true, the $17 million lost to the Detroit casinos represents the difference between a brisk year of growth and modest profits. The iLottery site isn’t just an alternative way to buy lotto tickets, either. It’s rich with online gaming options, including games like Queen of Diamonds, Moji Money, Lucky 7×7, Instant Football Payout, VIP Gold, Instant Keno, and 25 Card Cash. “If you go to their site, it’s almost an online gaming site now, similar to what you’ll see in New Jersey,” Dall says. The obvious solution for the casinos is to establish their own online gaming sites; who would know better how to do it? But there’s a problem: It’s not legal in Michigan for brick-and-mortar casinos to offer internet gaming, although the casinos have advocates in the Michigan Legislature who believe they can change the law this year. State Sen. Mike Kowall (R-White Lake) and State Rep. Brandt Iden (R-Oshtemo Township) have sponsored bills in their respective chambers that would allow the casinos to branch into online gaming. Both bills have cleared the necessary committees, and Kowall and Iden are working on getting floor votes scheduled. 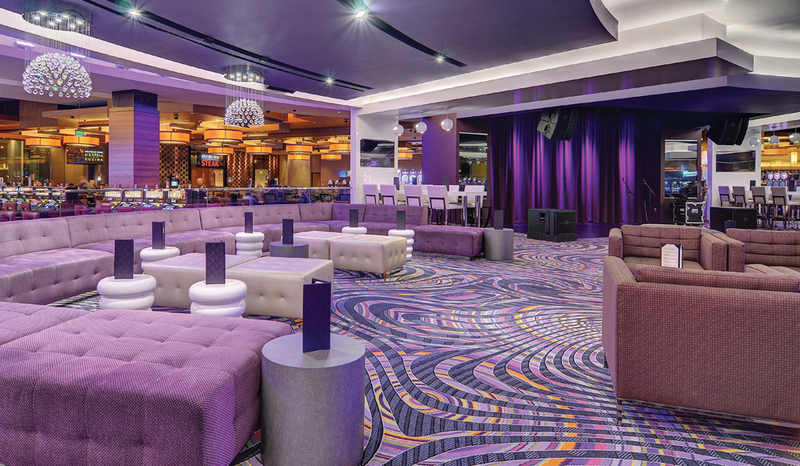 The Detroit casinos have steadily invested in upgrades, including the refurbished AXIS Lounge at MGM Grand Detroit, below, and the gambling area at MotorCity Casino, above. As soon as GPS figures out a player has crossed over to Indiana or Ohio, it’s game over. AXIS Lounge in MGM Grand Detroit. The Detroit casinos note that they pay millions each year for casino licenses, which basically means they’re paying the state for the privilege of being regulated — the very same state that’s now competing with them in the form of the growing-by-leaps-and-bounds iLottery. 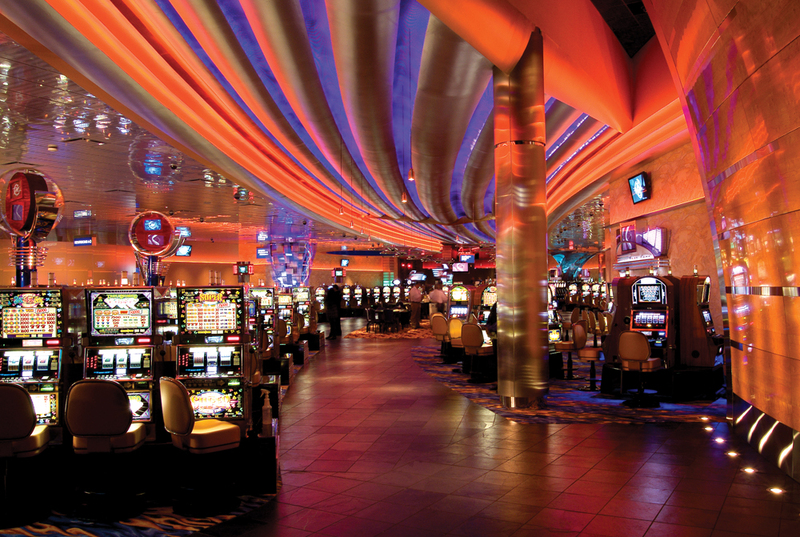 The urgency for the Detroit casinos also stems from the reality of being in a mature market. David Brunori, who teaches public policy at George Washington University in Washington, D.C., and has studied gaming markets for years, believes there’s little chance of drawing large numbers of new customers to the brick-and-mortar casinos. 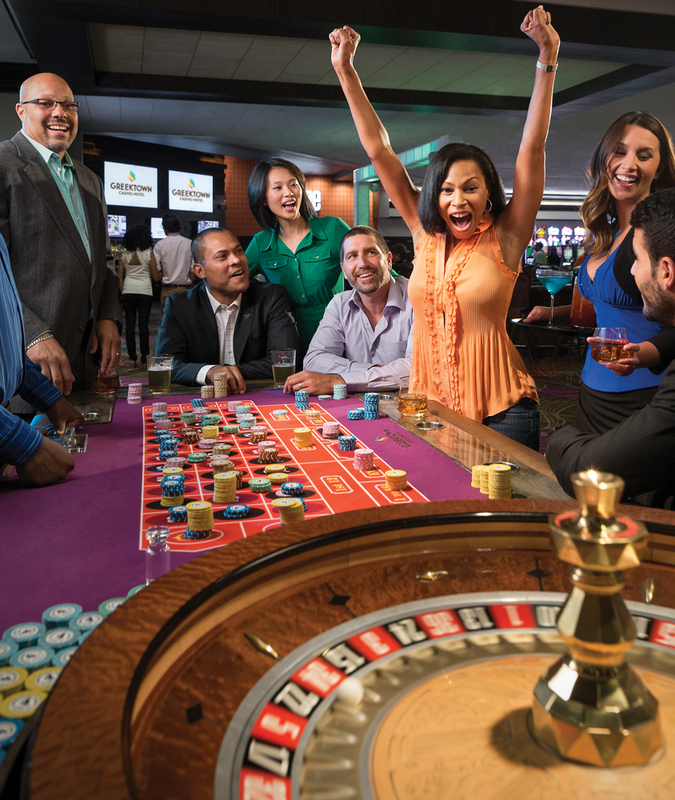 From the valets waiting to park a car to the restaurants bearing the names of famous chefs, the Detroit casinos bend over backward to deliver a premium experience. But to the extent such experiences are tied to Americans’ interest in gambling, the trends seem to suggest up-and-coming gamers are interested in other things. A 2016 Gallup study, for example, showed that 49 percent of Americans said they had bought lottery tickets that year, which is down from 57 percent in 1998. The shift, the study states, represents a transition to other, more accessible forms of gaming. Michigan’s early experience with the iLottery certainly seems to suggest as much. The study also reports that nearly two-thirds (65 percent) of Americans gamble in some form. Playing state lotteries was by far the most popular form of gambling. While visiting a casino was the second-most popular, it was a distant second at only 26 percent. Greektown Casino in Detroit, which is undergoing several renovation projects, will be renamed JACK Detroit Casino-Hotel later on this summer. “The same people who are used to going into the casinos and enjoy the casino experience inside the brick-and-mortar locations are going to continue to do that,” Iden says — but they’re not getting any younger, and younger people are, by and large, not replacing them. That’s one reason Iden believes a move by the casinos into the online realm is simply a recognition of reality. Is there growth potential for the casinos if they get the legal go-ahead to reach the online market? Iden thinks so, based on the Lottery’s experience. Assuming the bill passes both chambers, it requires the signature of Gov. Rick Snyder to become law. But the measure isn’t a slam-dunk. Iden says there was resistance to the expansion of gambling in the late 1990s, when the casinos came to Detroit, and there’s still resistance.